As a GIS manager, you deal with limited resources—time, money, and staff—and the need to meet the rising expectations of your customers, both internal and external. Those customers aren’t as patient as they used to be. They expect maps in their apps, are used to apps that don’t have a learning curve, and aren’t going to wait for you to send them a PDF of a map. You know all these things. That is why you wanted an ArcGIS Online subscription in the first place. Now that you have that subscription, here are seven steps that will help you get the most out of it. Follow these steps and your customers will use your site to help themselves, which will really help you. Don’t just set up your account; sell it by making it useful and attractive to your organization by customizing it. You can change the Home page to brand it with your organization’s look and feel by adding a custom banner, logos, and text. Think about how your organization works with geospatial information and what content it possesses. Decide what content to feature and create galleries to show it off. Entice and enlighten visitors with a featured content gallery that has custom thumbnails that make it easy to identify the content. 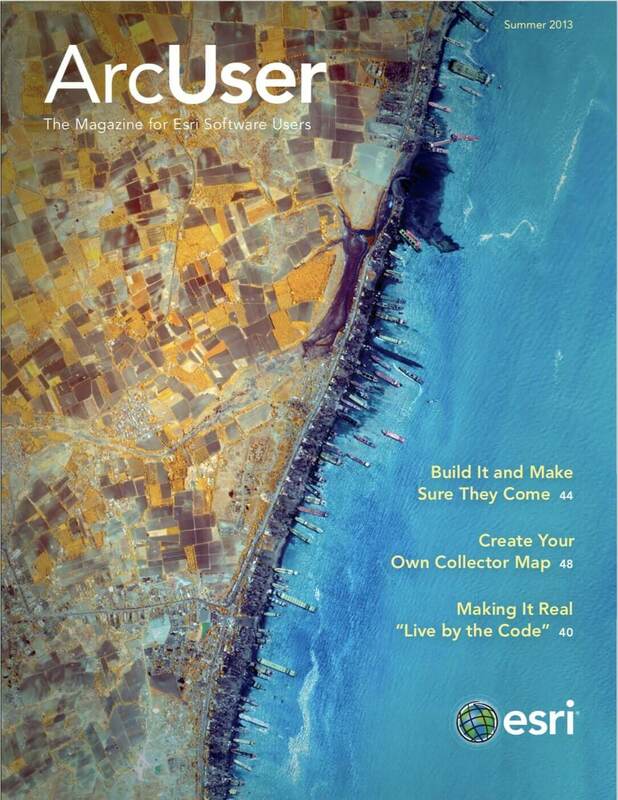 For more information, see “Show Off: Make GIS resources more visible and valuable” in the Spring 2013 issue of ArcUser magazine. While you are thinking about how your organization uses geospatial information, also think about who uses it. Often, datasets, maps, and apps will be used by members of more than one department. Let the site encourage, not discourage, collaboration by creating groups for shared content. For more information on this and other topics related to setting up your site, see “Get Up and Running with ArcGIS Online for Organizations” in the Fall 2012 issue of ArcUser. ArcGIS Online will make all kinds of content available in a controlled manner. With ArcGIS Online, you can share map services, web maps, web apps, and packages of all sorts—layer, map, and geoprocessing. Inventory these existing resources and figure out who is using them and who could benefit from them. Register map services, web maps, and apps with ArcGIS Online and add links to useful content shared by outside organizations through ArcGIS Online. Use existing data, maps, and models to create web maps, web apps, map services, and other products that answer the questions and meet the needs of people in your organization. With the ArcGIS Online map viewer, your users can make their own maps. Not only do they get the information they need more quickly and easily, but you can make more productive use of your time by letting them help themselves using the content available at your ArcGIS Online site. Making ArcGIS Online a resource for the entire organization requires more than just creating groups for them. You will need to invite people to those groups. Show them the benefits of using the site, make them feel wanted, and get them involved as contributors. Your site needs their continued support to be successful. Your ArGIS Online subscription also lets you expand GIS to others in your organizations without having them learn a thing about GIS. With Esri Maps for Office, managers and knowledge workers can use your GIS resources without ever leaving the familiar confines of Microsoft Excel. For more details on using Esri Maps for Office in your organization, see “Extending GIS without Extending Your Day” in the Fall 2012 issue of ArcUser. Don’t let your ArcGIS Online site remain the organization’s best-kept secret. Use every opportunity to demonstrate how everyone, not just GIS-savvy staff, can benefit from the information products you’ve created on your ArcGIS Online site. ArcGIS Online needs to remain as dynamic as your organization. Staff changes, workflows are modified, and organizational priorities evolve. Your site should reflect these changes. Regularly add new users to groups and poll existing ones to learn what resources and products will help them work more efficiently. Evaluate not only group memberships but the need to create new groups or retire old ones. Follow this game plan and not only will you make your ArcGIS Online site a highly visible asset to your organization but you will demonstrate the value of GIS in improving processes, communication, and efficiency.